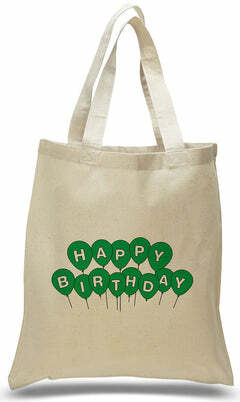 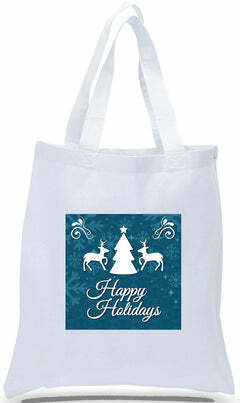 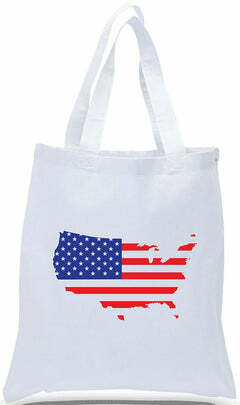 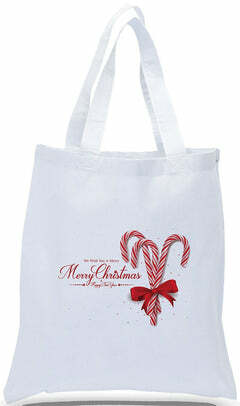 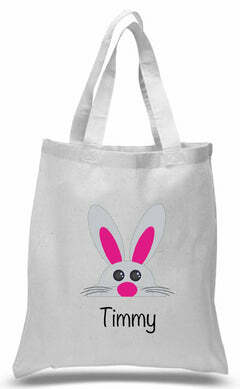 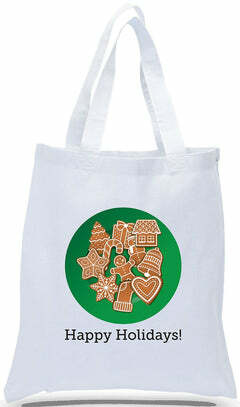 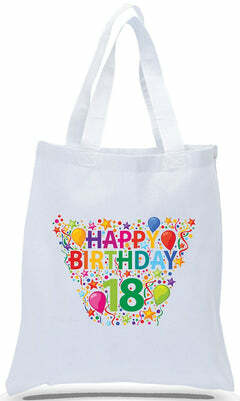 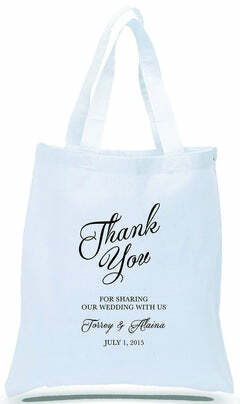 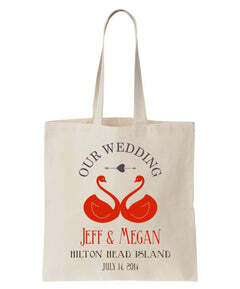 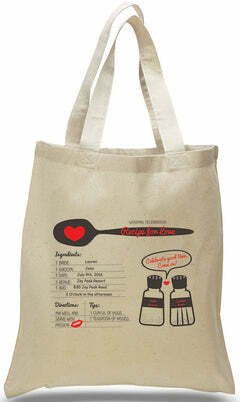 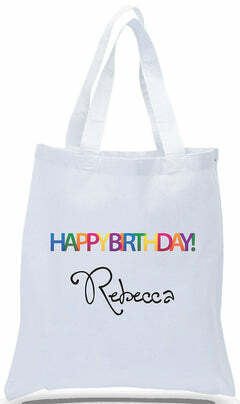 Classic design Wedding "Thank You" Canvas Tote for your guests and wedding party on your special day. 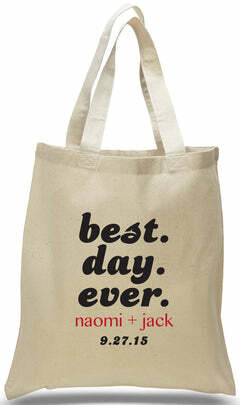 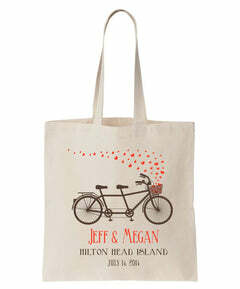 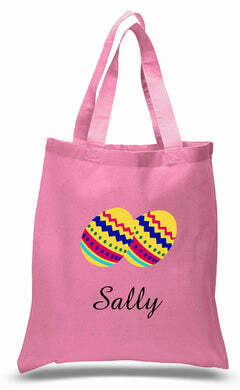 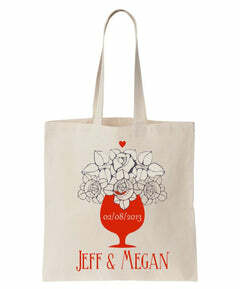 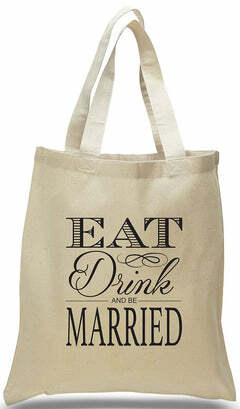 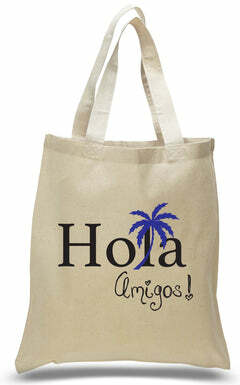 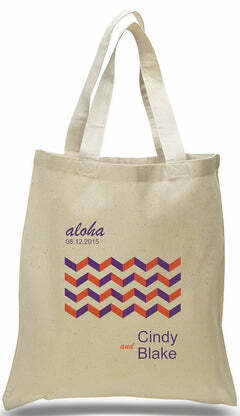 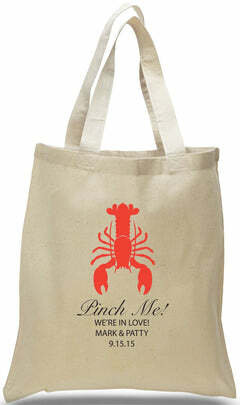 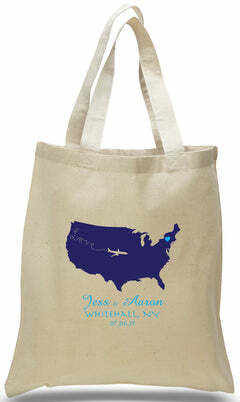 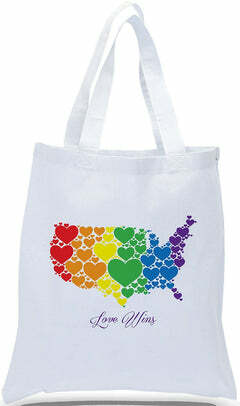 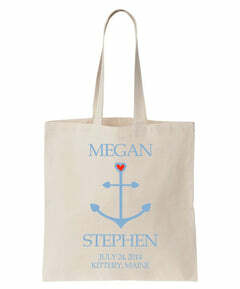 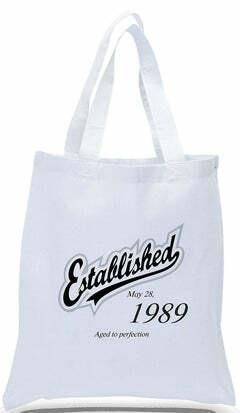 These totes are custom printed with the names of the Bride and Groom, as well as the date of the wedding, at no additional charge! 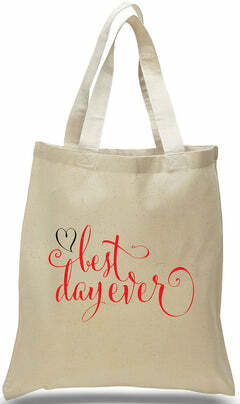 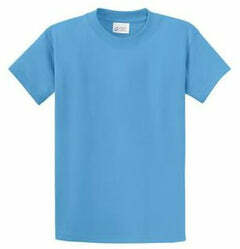 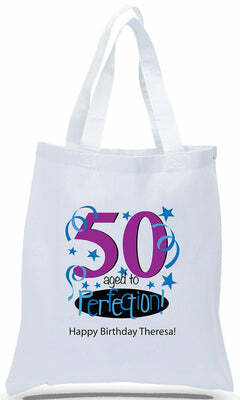 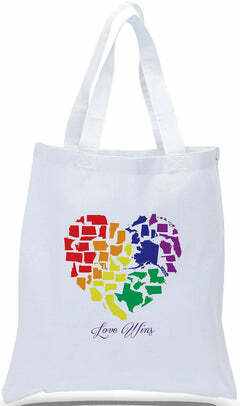 Available in a variety of print colors, there is sure to be one that fits the theme of your big day.